BM Petrikovsky, Professor and former Chairman of Obstetrics and Gynecology, Nassau University Medical Center, USA. Numerous studies conclude that risks and benefits of hormonal replacement therapy (HRT) are dose-dependent . The pharmaceutical industry attempted to partially resolve the issue of individualization of HRT by manufacturing at least six different types of Minivelle patches (0.024mg, 0.0375mg, 0.05mg, 0.075mg, and 0.1mg). The choices offered by the pharmaceuticals are useful but fail to caliber dose based on the needs of the individual patient. Each woman and her physician must decide whether ERT is an appropriate option for her. When making this decision, it is important to consider three factors that affect the risk-benefits of ERT: age at initiation, hormone dose, and route of administration . Estrogen deficiency over a period of many years may result in significant, changes such as bone loss, vaginal and bladder atrophy, and/or other symptoms [1,2]. Therefore, the earlier after menopause ERT is initiated, the better the long-term outcome . In addition, it appears that the majority of severe complications of ERT, including but not limited to strokes, uterine and breast cancers, are dose-dependent. Investigators found that an estrogen dose of 0.3 mg/day was associated with a statistically significant lower risk of cardiovascular events and stroke . Lastly, the route of administration appears particularly important for the results of ERT. Transdermal estrogen use has an additional safety benefit in that it avoids the hepatic “first pass” effect, and thus, associated changes in clotting factors and other hepatic proteins. A recent study assessed the association between the risk of venous thromboembolism and the use of different types of ERT. The authors concluded that transdermal treatment was the safest type of ERT. Transdermal treatment appears to be underused, with the overwhelming preference still for oral preparations. We recently reported our experience using a computer program for an individual approach to ERT. The program does not prescribe ERT but instead adjusts its dose to the needs of the individual patient. The computer program was designed to develop the minimal effective dose of HRT to address the needs of individual patients (e.g., bone loss, hot flashes, vaginal dryness, etc.) [3-5]. Progestins were added if indicated. The majority of our patients were using skin estrogen patches. The patient’s symptoms and prerogatives were assigned different scores depending on the severity of their symptoms [5,6]. Assume that the total surface of the patch corresponds to the score of 10. Calculate the score for a patient (for example, 17). It follows that the patient needs 1.7 patches. As the patient’s personal characteristics change (age, weight, the severity of symptoms, priorities, etc. ), a reassessment is indicated. The computer program is available online. The decision of when and if a patient should be started on ERT remains solely hers and her healthcare providers. We established an ovarian tissue preservation bank in 2000 in collaboration with Professor E. Zharov (Russian Federation) with the aim to collect and conserve ovarian tissue collected with the patient’s consent during indicated procedures (cesarean section-15, minilaparotomies and tubal ligations - 12, gynecological surgeries for benign conditions -22). Since our computer-assisted search failed to find an ovarian tissue bank with similar goals, we used the experience of the ovarian transplantation program in Denmark for the purpose of preserving ovarian tissue to combat infertility. The ovarian transplantation program started in Denmark in 2000 (800 women have had tissue frozen) . For this study, the researchers studied the outcomes of women who had received transplantation between 2003 and June 2014. The functional life span of the grafts varied between one and ten years; grafted tissue robustly restored ovarian functions . Eight children were conceived following the ovarian transplantation, and six children were conceived with the help of in vitro fertilization. As far as the authors know, this is the largest series of ovarian tissue transplantation performed worldwide, and these findings show that grafted ovarian tissue is effective in restoring ovarian function. Shoupe D (2012) Individualizing hormone therapy: weighing the risks and benefits. Cont OB/GYN 57(8): 16-31. Grodstein F, Clarkson TB, Manson JE (2003) Understanding the divergent data on postmenopausal hormone therapy. N Engl J 348(7): 645-650. Vinogradova L, Coupland C, Hippisley-Cox J (2019) Use of hormone replacement therapy and risk of venous thromboembolism: nested casecontrol studies using the research and CPRD databases. BMJ 364: k4810. Petrikovsky BM (2018) Hormone replacement therapy-computer assisted individual approach. W J Gynecol Women’s Health 2018 1(4): 1-4. Petrikovsky BM (2019) Individual approach to hormone replacement therapy – a computer assisted method of assessment of the minimal useful dose. Am J Biomed Sci & Res 1(1): 26-28. Shufelt C, Bairey Merz CN, Pettinger MB, Choi L, Chlebowski R, et al. (2018) Estrogen-alone therapy and invasive breast cancer incidence by dose, formulation, and route of delivery: finding from WHI observational study. Menopause 25(9): 985-991. Petrikovsky BM, Zharov EV (2017) Ovarian tissue transplantation. Neon Int Care 30: 35-39. BM Petrikovsky, EV Zharov, M Cohen. Individualized Hormone Replacement Therapy Versus Ovarian Transplantation. 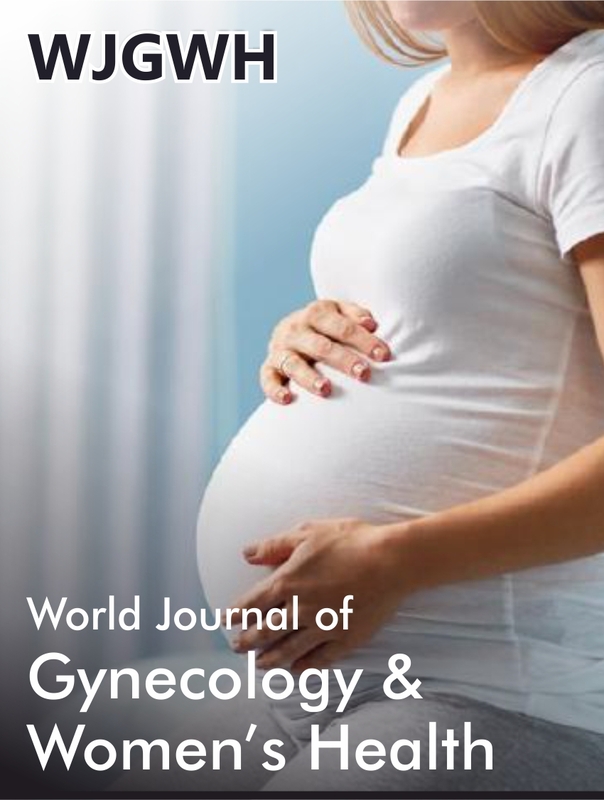 W J Gynecol Women’s Health. 1(5): 2019. WJGWH.MS.ID.000525. Hormone, Therapy, Ovarian, Transplantation, pharmaceutical, Minivelle patches, Estrogen, vaginal, bladder atrophy, uterine, breast cancers, stroke, Transdermal, hepatic proteins, clotting factors.